Happy New Year my loves! 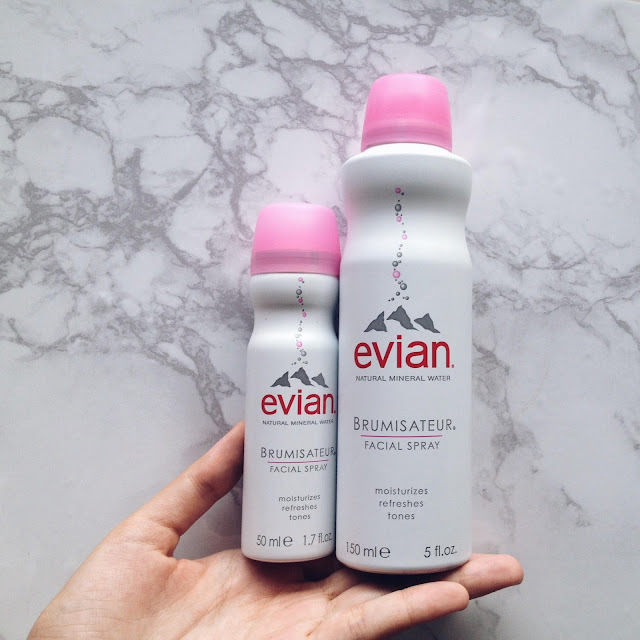 It's time to get ready for spring or at least refresh your skin on this last dry months of winter and my beloved Evian Brumisateur Facial Spray is all you need. With an exceptional purity, unique mineral balance and neutral pH, you'll stay hydrated no matter where you go. Giving you a hydrating facial spray that delivers powered micro-droplets of pure evian® natural spring water in a leak-proof canister, sealed at the source in Evian-les-bains, France. 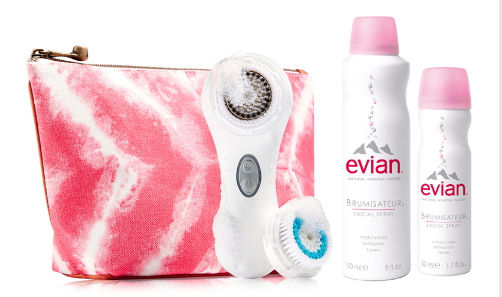 I also want to let you know that Evian® Brumisateur® is giving 2 lucky winners this amazing prize! The Clarisonic Mia 2 with limited edition beauty bag and extra Deep Pore Brush head to keep pores clean all season long. A $191 value. They will also include a 5 oz. and one travel-size evian spray, a total gift value of over $210! !